The profound changes to our culture wrought by the rise of the Internet as a whole are obvious to all. But I’m fascinated by one very surprising and strange way in which Twitter specifically altered the manner in which we interact with strangers – particularly famous ones. 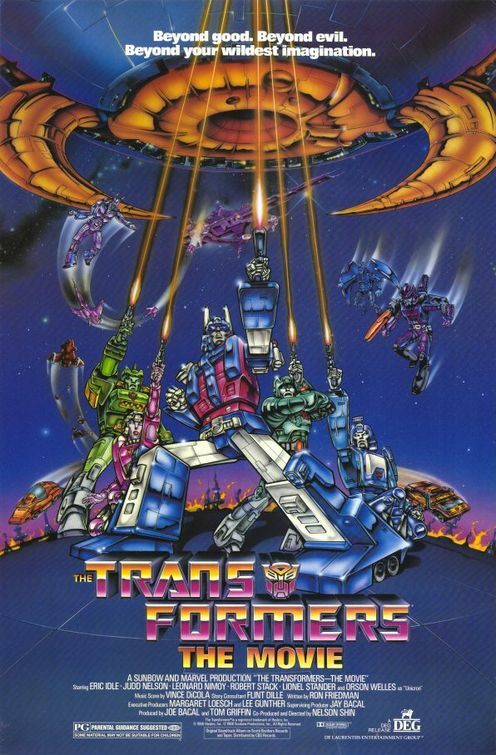 I recognized the song two notes in, as Transformers holds the unlikely distinction of being the movie I’ve seen more times than any other in my entire life, thanks to my 1987 bout with chicken pox. Dare was the other Bush-penned anthem on the Transformers soundtrack. Naturally, the question was one of my (semi-)amusing quips, more a wink and a nod to indicate that I got the reference. I never expected Punk to respond to this, one of the thousands of tweets he gets each day. And he didn’t. But you know who did? Yes, in this bizarre world in which we find ourselves in soon-to-be 2012, my tweet directed at a famous person was intercepted by a third-party famous person, who then responded to the non-famous person who crafted it originally. Bush wrote the following (as he did to a couple of other folks): “Dare has a bit of a wrestling connection as well these days,” then linked to this video, which was a live performance of Dare during indy promotion Chikara’s “King of Trios” tournament. There’s something bizarrely egalitarian about Twitter. Even as there are numerous tiers of popularity among the denizens of the site, just as there are in the non-online world, there’s one key feature that distinguishes it from a pre-Twitter society: Members of one strata have a direct, instantaneous method of connecting to those from another strata – and that works in both directions. Younger people may not find strange the notion of a famous person they’ve never met interacting with them, but, for people old enough to remember life without the Internet, this can be a perplexing experience. This entry was posted in Commentary, General Culture and News, Music, Sports and tagged 1980's, Boogie Nights, CM Punk, Dare, General Culture and News, Internet, Music, Sports, Stan Bush, The 80's, The Touch, Transformers, Twitter, WWE. Bookmark the permalink. Which I think is a good thing. Except it makes you wonder about the maturity of some of these famous people!